Welcome to Earth Energy Systems! Affordable AC & Heating Systems Wisconsin! 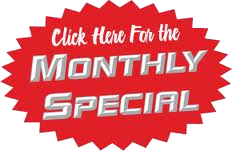 Contact the Experts at Earth Energy Today! DREAMING OF A WARM FIRE?? WE CAN HELP YOU DETERMINE THE RIGHT TYPE OF HEATING SYSTEM FOR YOUR HOME! Are you comfortable in your house all year round? Do You Need To Upgrade This Winter? You’ll reduce your family’s energy costs, maximize efficiency and rely less on traditional fuels. Based in Siren, Wisconsin, Earth Energy Systems is a trusted supplier of a wide range of heating, ventilation, and cooling systems. We provide affordable heating systems to Wisconsin as well as air conditioning solutions and repair services for commercial and residential clients. Our company offers furnaces, geothermal systems, geothermal heat pumps, garage heaters, air conditioners, air filtration systems, thermostats and more. We also provide repair services for a variety of heating and cooling products. Having more than 20 years of experience, we have successfully provided excellent indoor comfort in homes and commercial buildings throughout surrounding areas of Wisconsin. The experts at Earth Energy are known for providing intelligent solutions to ensure that your HVAC equipment operates efficiently and smoothly. Our organization employs seasoned professionals who are trained to handle all your air conditioning and heating projects. Whether you need an air conditioner for your house or a centralized cooling system for the office, you can rest assured that with Earth Energy’s assistance, you are sure to get affordable and effective HVAC solutions. As a leading HVAC solutions provider, we also provide Geothermal systems from WaterFurnance. The products targeted for residential and commercial industries are built with the robust features to make you feel comfortable without costing you a fortune. Earth Energy Systems understands that HVAC systems are a substantial investment. We offer systems by first analyzing your needs. We focus on the goal of providing customers with the best affordable heating and cooling systems. We are also available to keep your HVAC systems operating for a long time. Need heating and cooling products for a new home or are are you looking to replace your old system? 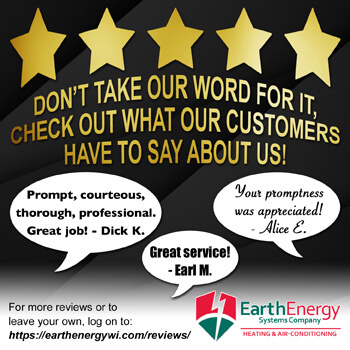 You can rely on Earth Energy Systems for expert service. We are dedicated to serving our customer’s heating and cooling needs in the most affordable and efficient way. Our experts are available round the clock to provide you the best heating and cooling systems. No matter what your need, we will install, repair and maintain your HVAC system. Having more than 20 years of experience, we have successfully provided excellent indoor comfort in homes and commercial buildings throughout surrounding areas of Wisconsin. Earth Energy Systems in Siren WI provides reliable friendly service and Free Estimates... Give us a Call or Stop In Today!